The ring is one of the jewelry pieces that is exposed to most stress and wear. That’s why frequent maintenance is an integral part of taking care of your ring. By maintaining your ring you uphold its beauty and integrity of the stone settings. 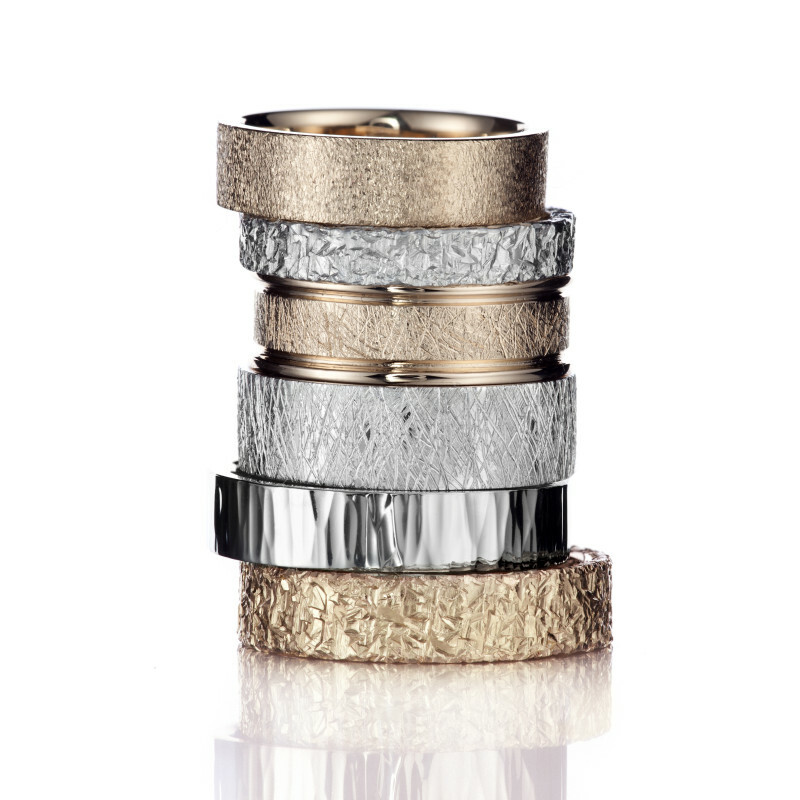 For rings worn daily we recommend maintenance in 1-2 year intervals. If your ring has a matte finish that has been worn out in use it may be renewed and strengthened during the maintenance as well. -A thorough cleaning with an ultrasound washing machine. In an ultrasound washing machine the ring is cleaned with ultrasound vibrations that removes grease and stains that are often impossible to clean any other way. After the first cleaning we polish the ring with a rotary polisher and 2 – 3 different buffing wheels, depending on the finish. If the surface is badly scratched it might need polishing with a coarser wheel to erase the scratches. Finally the surface shine is finished with a soft cotton wheel. Rhodium is a platinum-family precious metal that is used plate white gold to achieve the lightest possible finish. Rhodium plating is basically the same procedure as electroplating metals with gold or silver. The color of white gold alloy is darker without a rhodium plating.